We found issues with the latest Creators Updates to Windows 10 that affect local asset installations of Helm CONNECT. These updates change the location of critical system files (SQL Local DB) and will block Helm CONNECT from starting, if you are using a local asset installation. We believe these issues are limited only to the Creators Updates to Windows 10. These issues do not apply to users of Windows 7 or 8. We made a tool to solve the problems caused by the Creators Updates. This fix takes less than five minutes for each local asset installation. It’s deployed by command line so it requires access by a system administrator. NoteYou may have to deploy this tool again after subsequent Creators Updates. [ERROR] Helm.Init: Init service failed. Please see exception for details. EXCEPTION OCCURRED :System.Data.SqlLocalDb.SqlLocalDbException (0x89C50107): The specified LocalDB instance does not exist. The tool is packaged in the HELM CONNECT 1.5 release. 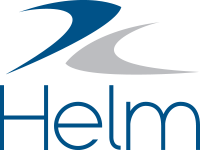 If you are using a previous version of Helm CONNECT (1.4 or earlier), please contact our Support team to get the tool. The tool is available in all later versions of Helm CONNECT (1.5 and later). On the local asset installation, navigate to the Repair folder. The path will be C:\Program Files (x86)\Helm CONNECT\versions\w.x.y.z\tools\Repair (replace w.x.y.z with the version of Helm CONNECT on the local asset installation, for example, 7.1.5.234). Hold down the Shift button and right-click on the Repair folder, then select Open PowerShell window here. Type .\HelmRepair.exe AttachDatabase then press Enter to run the command. From the Windows Start menu, search for services.msc. In the displayed list of services, right-click on HelmCONNECT_node then select Start. Wait about 60 seconds, then try to open Helm CONNECT again. If you have already installed a Creators Update and cannot use Helm CONNECT on your local asset installations, please contact our Support team immediately. Our Support team will show you how to restore access to Helm CONNECT on your local asset installation. You will need to use the tool on any installation that has received a Creators Update to Windows 10. If you are planning to install the latest Creators Update to Windows 10 in the future, please schedule a call with our Support team to discuss the process.